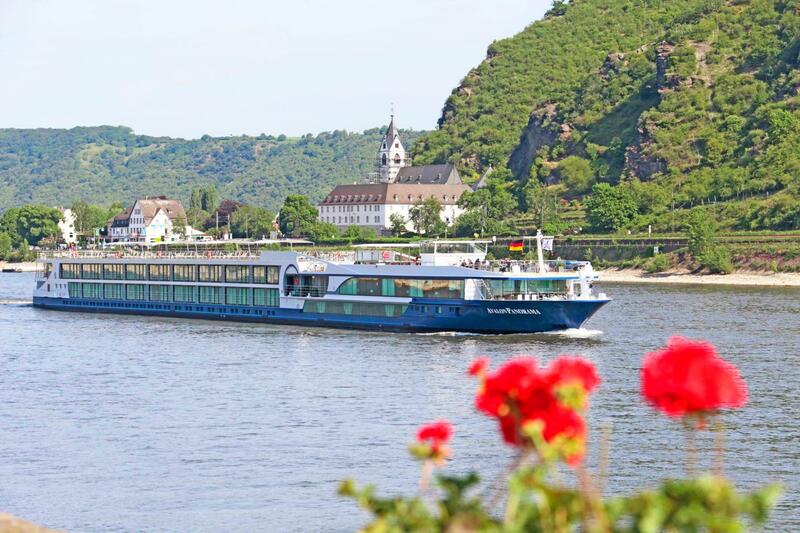 Whether you’re discovering the historic highlights of Cologne, strolling through the cobbled French Quarter in Strasbourg or sipping a regional wine on deck as you sail through a UNESCO-listed gorge, Rhine river cruises with Avalon Waterways offer a wealth of cultural, architectural and scenic delights. Enter our competition and you and a guest can find out for yourselves on a luxurious ‘Romantic Rhine’ river cruise from Amsterdam to Basel. Offering the largest staterooms on Europe’s rivers, with beds designed around the view, Avalon has mastered the art of blending comfort with discovery. Everywhere you look, you’ll find thoughtful little touches – from exclusive Comfort Collection beds and pillows in the staterooms to L’Occitane products in the full-sized marble bathrooms, premium spirits in the bar and Lavazza coffee in the lounge. With included regional wine and beer with lunch and dinner, FlexDining options that allow you to choose when and where you eat on board, and a varied programme of Classic, Active and Discovery excursions at your disposal, you’ll have the freedom to personalise your cruise to suit your mood. Want to earn a good view? Take an optional guided hike through the German countryside. Want to get a taste of Dutch traditions? Join a culinary walk through Amsterdam to sample excellent cheese, chocolate, craft beer, pancakes and fish. The discovery is up to you. Having smaller vessels allows Avalon to dock in the heart of iconic cities, historic towns and hard-to-reach riverside villages, so you can immerse yourself straight away in the local sights and make the most of every stop. Excursions are included, but you have the freedom to choose whether to join them or to discover each port of call on your own terms. How you pass your time on board is also up to you. There are talks relating to the areas you’re visiting, presentations from guest experts on wine, cheese and beer, and there’s evening entertainment with local performers. Had a busy day sightseeing? Simply find a quiet corner in the Sky Lounge and admire the beautiful scenery as you sail past. Then in the morning, your Adventure Host will lead a stretching session – as well as being on hand at all times to offer advice and guidance, should you wish to head out on your own. It’s all part of the Avalon Choice. Like the sound of this prize? Simply complete the form below for your chance to win. All entrants must be resident in the UK and aged 18 or over. Entry is not open to employees (or members of their families) of the Cosmos Tours Ltd group of companies. The prize does not include private home pick up services, selected meals and visa and passport fees. The prize is not transferable, cannot be exchanged and has no equivalent monetary value. No responsibility can be accepted for entries lost, delayed or incomplete. Closing date for the draw is midnight, 24 February 2019. The draw will take place after the closing date and the winner will be notified by email or phone. If we are unable to contact the winner, we reserve the right to draw a new winner. Avalon Waterways, trading name of Cosmos Tours Ltd, reserves the right to feature this prize draw on other printed or digital material. Winners may be requested to take part in post event publicity. The prize is subject to availability and Avalon Waterways, trading name of Cosmos Tours Ltd, reserves the right to substitute a prize of equal or greater value should circumstances make this necessary. The winner is responsible for checking and complying with the most up-to-date visa, passport and travel regulations and to cover any associated costs. Entry constitutes acceptance of these Terms & Conditions.